Richard Bishop of Wienerberger looks at how roof tile innovation is emulating classic design using modern materials to enable self-builders to find the ideal option for their project. 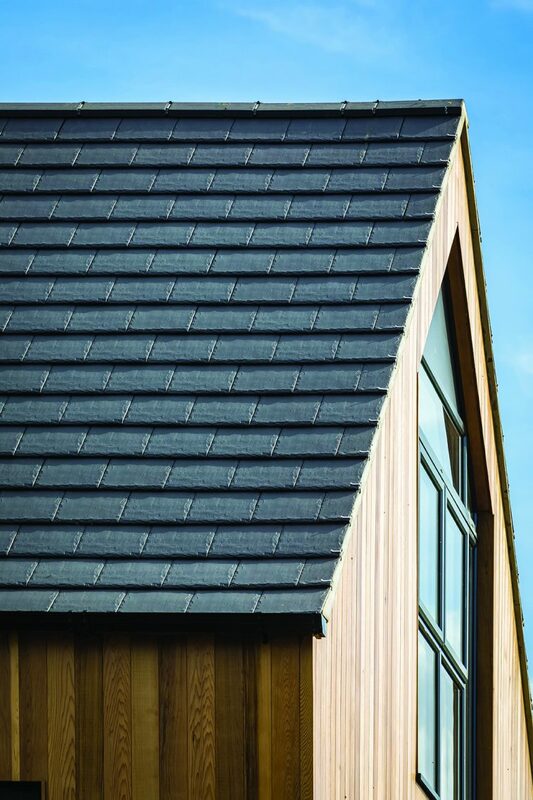 It’s no secret that slate and clay have dominated roofing trends through the ages – they’re natural materials that can stand the test of time and offer an aesthetically pleasing finish. 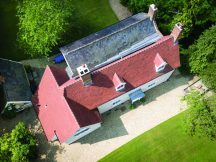 So what can those looking to develop an iconic build – be it utilising slate or opting for a clay pantile – do to ensure their roofing design compliments the architecture, without inflating material costs and labour overheads? Thanks to pioneering innovations and substantial investment in product development, architects and self-builders now have a wealth of products to choose from that not only offer the same aesthetic quality as traditional materials such as slate, but are also easier to install, and much more cost efficient. Clay tiles with a riven surface and dressed edges can offer an authentic, natural slate appearance. Take for example Rivius, a tile made from natural alluvial clay with a tough ceramic finish, which has the look of slate, is natural like slate and yet can be installed for half the price. These types of tiles can give that premium finish often associated with slate and combine it with the range of benefits that come with using clay. In short, they can achieve the aesthetic of a classic construction, without having to compromise on cost. But it’s not just these tiles that lead the way when it comes to innovating traditional roofing. 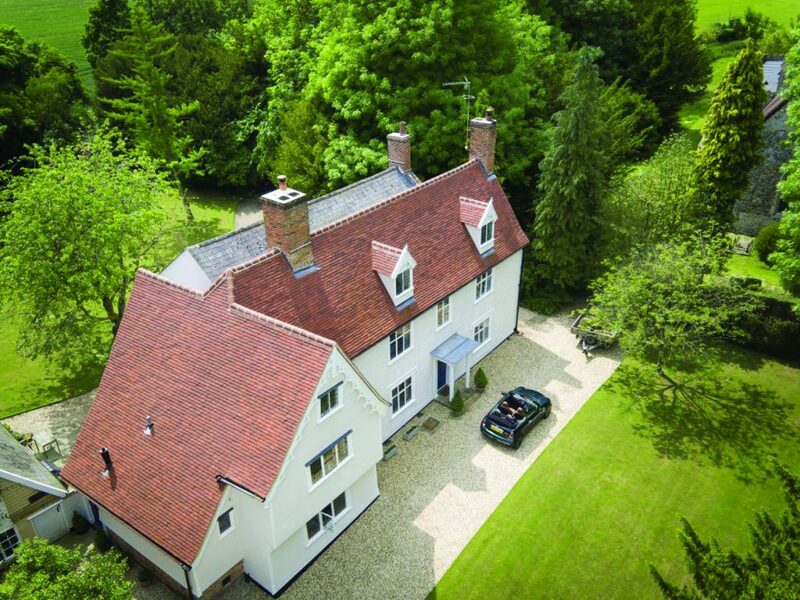 Plain tiles have been a part of our heritage and roofscape for hundreds of years, going as far as their size being set in law by King Edward IV in 1477. An Act of Parliament set plain tile dimensions at 10.5 inches long by 6.5 inches wide, and this is still the standard today. Apart from subtle variations such as single and double camber, the plain tile has remained unchanged for centuries. There have been many modern updates on the traditional plain tile. In introducing ‘new generation’ product ranges, manufacturers are able to offer roof tiles that give the look of a traditional clay roof while using innovative technology to modernise and improve roof tile performance – such as using interlocking mechanisms. This means that both high quality and beautifully designed roof tiles can be specified exactly to suit individual projects. Today, roof tiles have the versatility to complement very creative and versatile building designs. Through a wide selection of profiles and colours, across a portfolio of materials from clay and slate to concrete, self-builders have access to tiles in a variety of shapes, sizes, colours and finishes, adding character to any home. However, roofing is about so much more than just tile performance or how durable or waterproof it is. From an aesthetic perspective, there’s so much choice today when it comes to the extra details. Feature tiles or finials – a touch of class from the past – can create a distinctive quality finish for both modern and traditional roofs. For period and/or listed buildings, a heritage approach is essential, but such features are often used to good effect on contemporary projects too. Ensuring a considered aesthetic finish to your roof is guaranteed to increase the value of your home. Concrete has become the key product driving the UK pitched roofing market, with designs coming in all shapes and sizes. Clay roof tiles such as the Keymer Shire and Goxhill ranges are more premium roofing options, offering greater longevity and a colour that lasts for life. As a homeowner it comes down to working out exactly what you want, but for a truly standout roof that remains as striking as the day it was fitted, clay is a perennially good choice. It is obviously important to consider how your home is waterproofed. A traditional gable-to-gable roof has no inner details, but as soon as you put on an extension or have an L-shaped roof then you need to consider waterproofing the angles, the hip or the valley. This is where you would use GRP or lead. Lead is the traditional flashing and waterproofing solution and while it’s an ideal solution in terms of performance, it has a high cash value and is often targeted by thieves. Modern alternatives offer the same look and handling experience as lead but at a fraction of the cost and without the high risk of theft. This is another example of the market developing the alternatives necessary to move forwards and work most effectively for its customers. Whether you’re looking to renovate, or create a new build that holds all the stylised designs of a traditional construction, alternatives can and have been used to ensure cost doesn’t compromise quality in roofing. Traditional design will continue to shape the future. It’s our responsibility to embrace our architectural heritage while using innovative products sympathetic to builds – without falling short on design, longevity and quality. Richard Bishop is roof category marketing manager at Wienerberger.